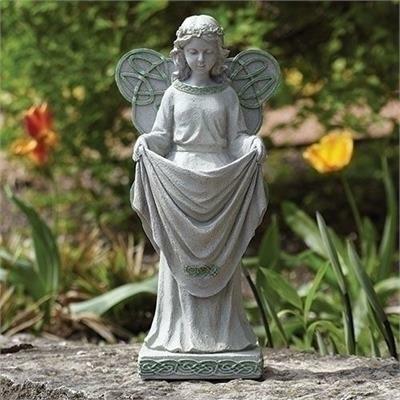 An Irish angel holds out her dress to welcome the feathered friends to the yard. She comes beautifully detailed and is made of resin. Notable Irish patterns adorn this statue. Designed as a solar statue.